After a week at the drawing board researching construction details and costings I came up with a total construction price which was accepted by the client. 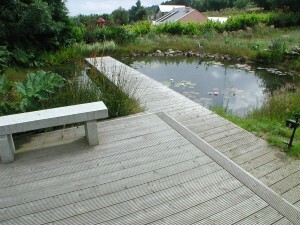 This landscaping contract was to consist of 3 ponds, 1 small, two large connected by a waterfall and stream, the sheebeen and toilet were to be situated by the final pool surrounded by decking high enough to cover the sewage tank (No odours). Reaching out into the final pond a 7M jetty was to be constructed. 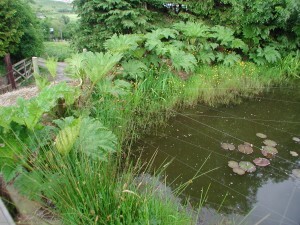 All the ponds would be surrounded by a bog and small wire fence for child safety. 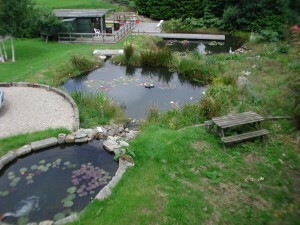 In the final pond there would also be a shallow area dedicated to frog spawning. First we started with the diggers clearing topsoil from the whole landscaping area and storing it to one side. We then went about digging the 3 different sized holes for the ponds using the subsoil to create banks and flowing shapes . The 40M of the 3” reinforced pipe was then laid in a 20cm deep trench from the back of the big pond to the back of the top pond. After landscaping and pipe burying was complete the topsoil was spread over the whole area to an average depth of 30cm. It is very important not to mix the subsoil with the topsoil as this will affect healthy grass or plant growth going forward. 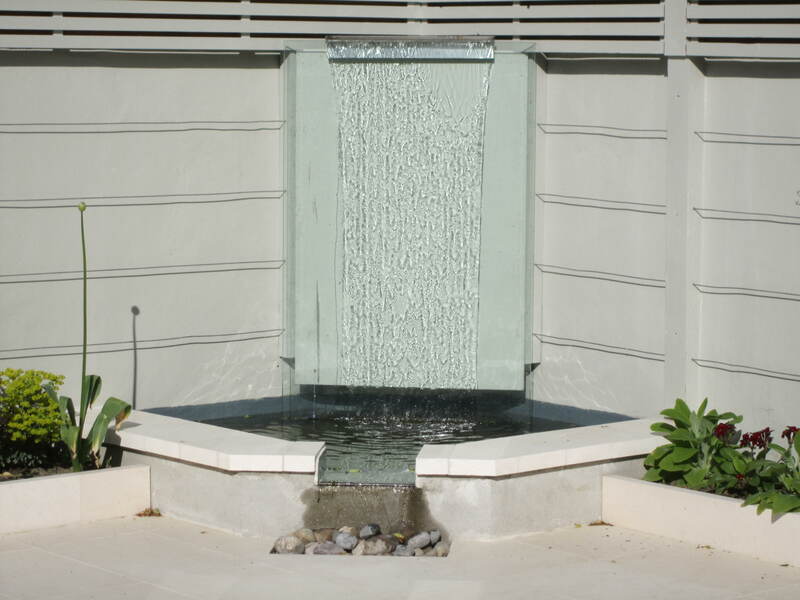 The water feature comprised of 5 different sections – top pond, middle pond and big pond connected by a waterfall and stream. For each section an individual piece of liner was used allowing for plenty of overlap. The liner we always use is EPDM rubber, it is the most expensive but the best. When building a water feature my advice is never compromise with quality, always buy the best. Our landscapers then constructed the middle and big ponds. A trench was left around the circumference of both ponds when landscaping. 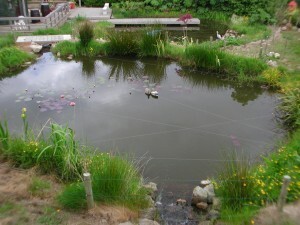 The liner was laid on a bed of sand on both ponds. The trenches were then filled with subsoil around each pond to create the bog areas. Topsoil is too fertile and would introduce too many nutrients too the water and cause algal blooms etc. Next was the waterfall and stream. 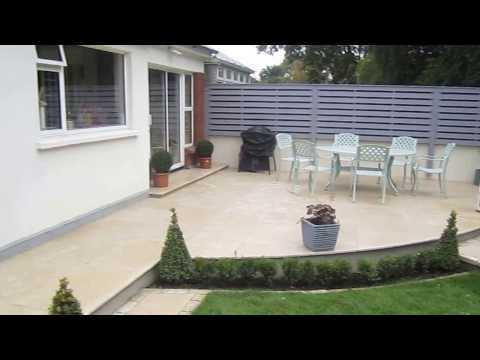 They were constructed using liner, Wexford beach pebble and granite. The liner was again laid on a bed of sand. The granite was placed strategically at intervals to give good effect to rushing water and kept in place using cement. Between the granite beach pebble was laid in a bed of cement. 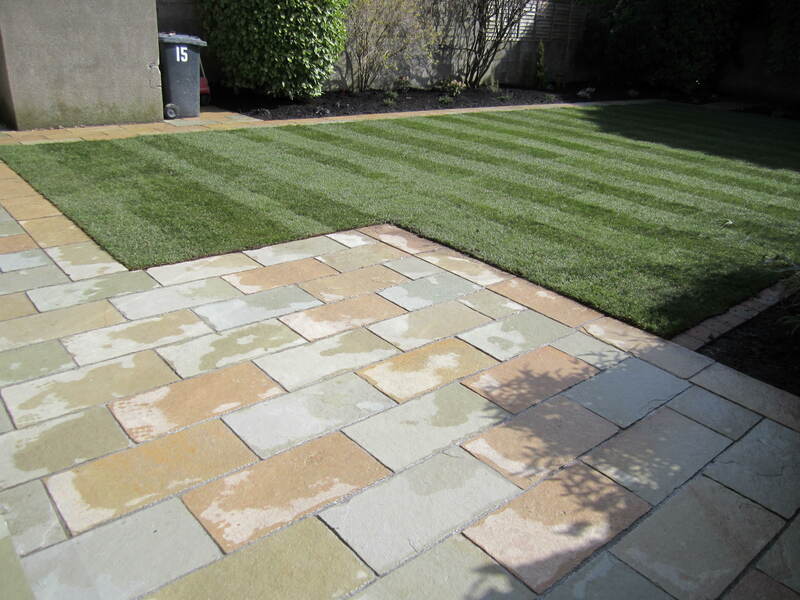 The beach pebble used was of varying sizes which gave a natural look. 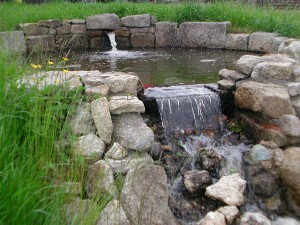 The liner for the stream and waterfall went under the liner above and over the liner below, connecting the whole water feature. 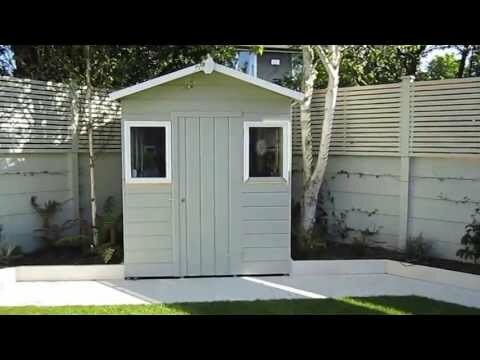 The Sheebeen was then installed using a 18×20 Baumanns garden shed. The shed was fitted out with counter, shelving, lino, heaters and was painted, insulated and plastered. 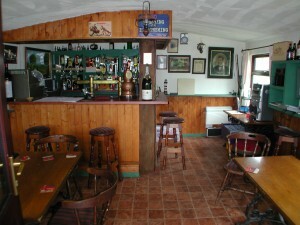 The rest of the Sheebeen construction was carried out by professionals with cooler pump and lines installed. Next to the Sheebeen the toilet was constructed using an 4×4 garden shed. 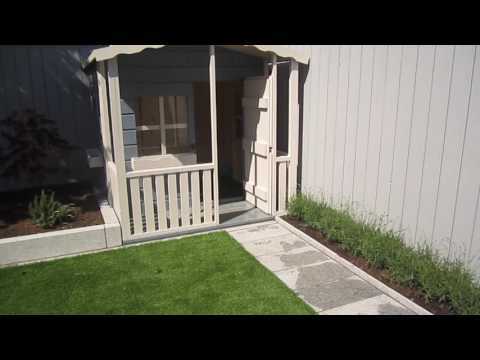 Baumanns custom build garden sheds so they can include whatever shape or style the client requires. Our landscapers then constructed the double level deck around the sheebeen and toilet, using pressure treated pine. Two supports for the jetty were then built using 4” solids within the big pond. The jetty was then constructed reaching two thirds the way across the pond. Aquatic lighting was then installed using blue strip lighting under the jetty, large white aquatic lights for the base of the ponds and rock lights cemented into the stream and waterfall. A big Oase pump capable of moving this quantity of water was then installed in the big pond and connected to the 3” reinforced pipe. A non return valve was connected to the pipe 1M above the pump, this would stop water draining into the big pond and overflowing. 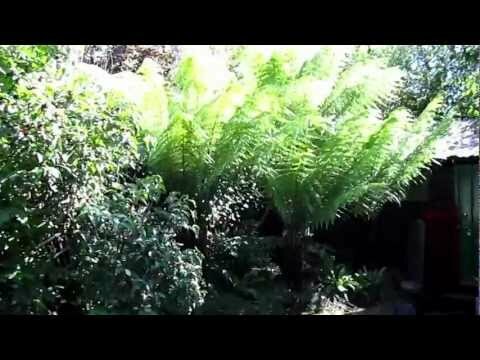 The water feature was then filled with water which took 7 days. Our landscapers then planted up the bog area with suitable aquatic plants including Gunnera, Flag iris, Rodgersia, Miscanthus etc. 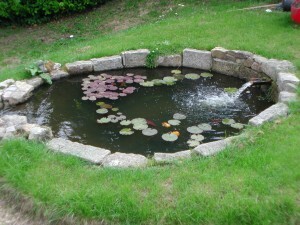 For the open water, 3 aquatic baskets containing waterlillies were placed in each pond. 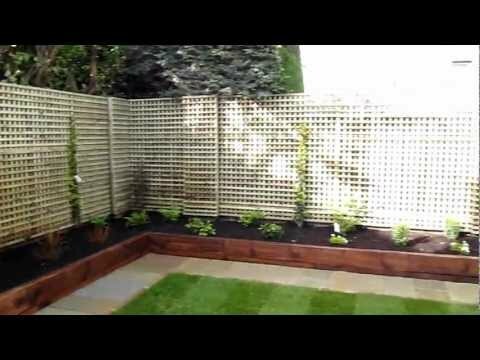 Child proof fencing was then installed around each pond. When the switch was hit and the water feature sprung into action it looked fantastic. The project came in within budget and the client was very happy with the results. 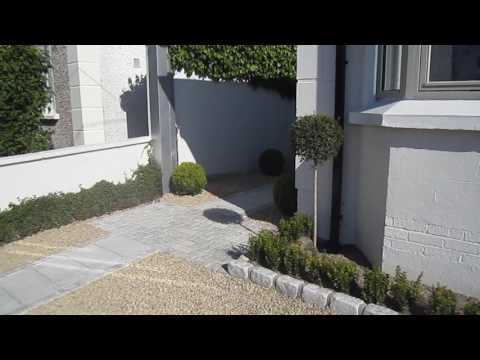 If you like what you see and want a quality landscaping service contact Kevin Baumann on 086 8198444.